I now have 12 days left at work…. So I need to know- what does one do on maternity leave? I aim to do one “active” thing a day- short cycle, walk or swim at the local pool, and I will also aim to see friends for tea and scones where I can (although I’m still working on meeting more mummies and mummies-to-be who will be off work when I am). There are lots of little tiny jobs around the house (filing, painting window frames etc) which I may feel like doing too. But sort of that I have no idea how I will fill my time. I am trying very hard not to be worried about getting our car back in time for the next wedding trip. We have a 500mile plus round trip to do in 5 days time, and our car is not ready. The garage are waiting for some parts after the crash I had a couple of weeks ago, and we were supposed to get our car back a week ago. Our courtesy car is a 1L Peugeot 107, and I’m not sure we’ll fit everything in. We’ll need our suitcases for 4 nights away, including smart things for the wedding, the hospital bag with all the baby things, the car seat and pram base and the cat in his basket, the litter tray etc as he is going for a cat holiday at my parents. 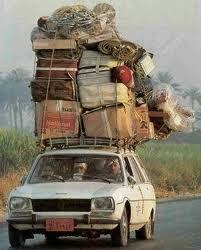 There is pretty much no way that will all fit in the car with the two of us, so I’m getting a bit worried! 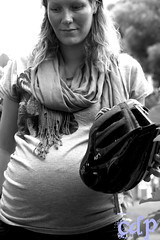 All the best with your maternity leave! I’ve just started mine and day one turned out a little bit disorganised but good. I find I need to make a checklist or else I don’t end up doing anything haha! Thank you! How many weeks Maternity leave have you got before your baby is due? I’ve booked 2 weeks holiday and then 1 week maternity before the baby is due, so three weeks in total. Seems like an absolute lifetime! I’ve organised a few dinners with friends, and I’m trying to give this house some attention. I don’t think my nesting urges are here yet haha! How are you getting on? !